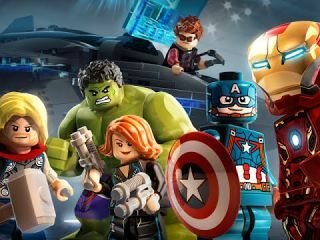 Lego Marvel's Avengers is out later this year, and if you're wondering how it's different from Lego Marvel Super Heroes, know that it's based on the two Avengers movies rather than the wider Marvel universe as a whole. That makes it much less interesting to me as a result, but maybe the sight of The Incredible Hulk taking a selfie with a defeated baddie will help make up for it. That sounds like the sort of thing that would cause someone to let out a little chuckle as they smashed their way through TT Games' latest Lego adventure, and it's in the new trailer, above. The awkwardly titled Lego Marvel's Avengers was originally due to arrive this Autumn, but the YouTube description for the new trailer is now saying it'll come out in Winter instead. Still, at least that gives you time to finish Lego Jurassic World, and to maybe give Lego Dimensions or Lego Worlds a try—my, there are rather a lot of Lego games coming out this year, aren't there?